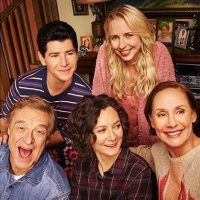 Without Barr, The Conners is "in some ways a more straightforward descendant of the original series than the revival was: It’s a show about the white working-class experience that has not been warped by Barr’s vile politics," says Willa Paskin. She adds: "Although some conservatives will view any Barr-less version of Roseanne as a victory for the other side, in the long run—if there is one for this show—her removal frees The Conners from being treated like a zero-sum game, with every storyline a point for one side or the other. But there’s a catch: Without her, the show does not and cannot have the potent and terrifying energy of its predecessor. The Conners is in demonstrably less racist hands than it was—and so is now unlikely to be the center of the news cycle. The most controversial thing about it is that it exists. The Conners tells a damning story about American society within the world of the show, but outside of it too; the series underwent a necessary, morally correct change—for which it will likely be rewarded with a fraction of its predecessor’s ratings. The Conners isn’t bad, but it’s hard to laugh at that." Roseanne Barr tells HBO's Vice News Tonight: ABC did “the worst thing they could have possibly done to me…to fire me from my own show"
Why The Conners' pro-Trump conservative detractors might be wrong that it "will flop without its star"
Showrunner Bruce Helford: "We avoided the divisiveness by just making sure the fans of the show would find all the elements of the show they love intact"